At the Cinema Cross Stitch Pattern to print online. 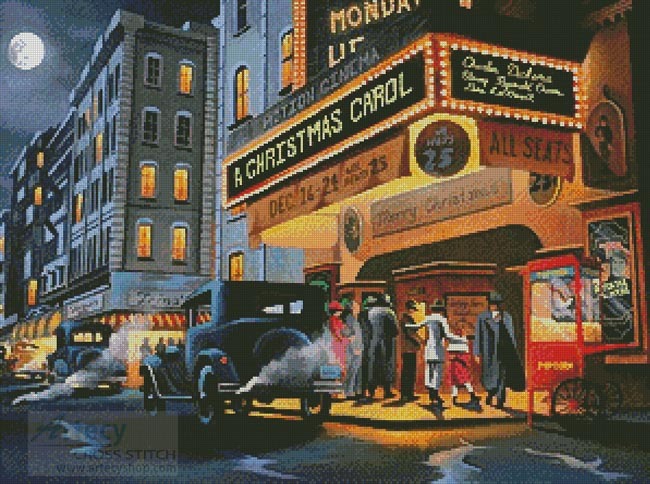 This counted cross stitch pattern of old Cinema in the City Scene was designed from the beautiful artwork of Geno Peoples. Original image copyright of Hadley House Licensing www.hadleylicensing.com.